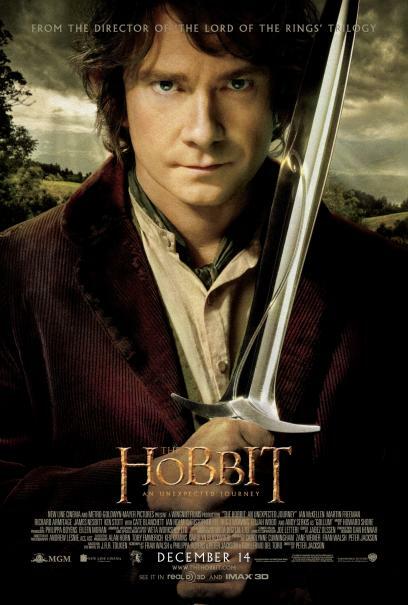 As we all know, the Hobbit released today 14 December 2012 after a ten year gap from the end of the Return of the King. I went to watch it at the the midnight show. Prior to watching the movie I had read some of the early reviews, and most of them complained about the slow pace of the film. I usually hate movies that drag on with a passion, however, with the Hobbit I did not notice anything wrong with the pace. The movie script itself was well developed and honestly, I did not notice the passage of time at all and the end of the three hours came as a surprise. Let’s begin with a brief summary of the plot. As most of the people out there know this movie is the prequel to the Lord of the Rings trilogy. It is the story of Bilbo Baggins, told by him 60 years after its occurrence. It is about his adventures with a band of thirteen dwarfs/ dwarves on their quest to regain their city from the evil dragon. I think the key point to pay attention to before watching the movie is that it is told by Bilbo Baggins, so it seems natural that he puts himself in the best light. However, he is not the principle character of the tale. The dwarf-leader Thorin is a major character and so is Gandalf. The rest of the dwarfs, though not prominent, are important to the story development. The movie begins with a prologue describing the events that led to the plight of the dwarfs. This is an important part of the film and gives the background needed for the story. We then move on the Ian Holm as Bilbo beginning the writing of his book. Rewinding to sixty years ago we see how Bilbo, now played by Martin Freeman, first finds himself a part of Thorin and Co. The movie then describes their adventures. The company finds themselves in many dangerous situations and also meet many familiar and new people (familiar to the viewers that is). We have Hugo Weaving, Cate Blanchett, Christopher Lee and Andy Serkis revisit the roles of Elrond, Galadriel, Saruman and Gollum. We are introduced to Radagast the Brown, played by Sylvester McCoy, as a member of the Istari. One of the highlights of the movie is the riddle game between Bilbo and Gollum. Serkis has managed to make Gollum an even more nuanced character, if that was even possible. 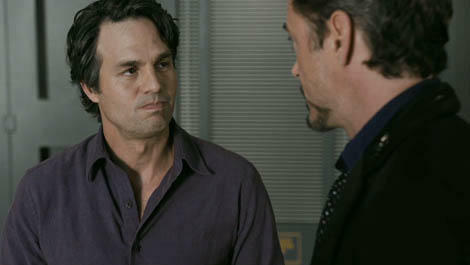 I think he deserves an Oscar nomination for his wonderful performance. Another character who I found intriguing was Thorin. If you are familiar with my blog posts, you would know that I’m a big fan of Richard Armitage who plays Thorin. When I first found out that he was cast for this role, I was super excited as the LOTR series are probably my favorite book and movie series. After watching the movie last night I am even more convinced that Armitage was a wonderful choice for the role. 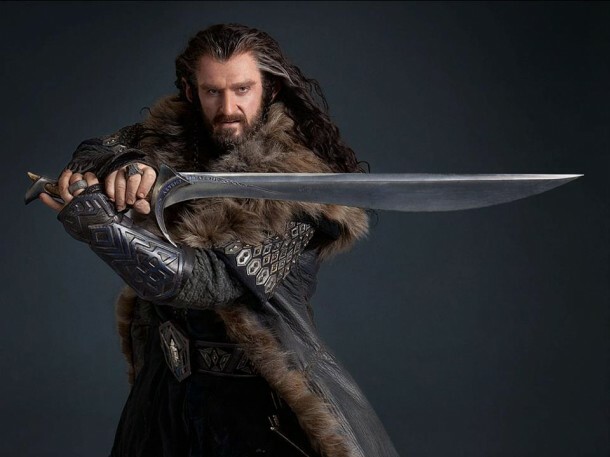 He manages to bring out the authority of Thorin along with maintaining an aura of mystery and sadness. The only part of the movie that I found lacking was the CGI effects. I watched the regular (read not 3D and 48 fps) version and though the images were not as bad as I have heard they looked in 48 fps, the CGI still looked extremely phony at certain scenes. I hope this issue is taken care f in the later movies as I am very excited to see Smaug the dragon and do not want to see a cartoonish figure as the dragon that haunted so many of my nightmares as a kid. 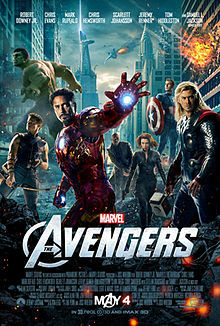 On the whole, I enjoyed the movie tremendously. It establishes the relationship between Bilbo and the dwarfs and gives us a background of the things that will undoubtedly develop more in the future movies to come. I would give it 4 stars out of 5. All images are from Google images, I own nothing. I’m inconsolable right now. I just found out something that makes me feel incredibly sad and full of regret, I cannot go to a rare signing and Q&A by my favorite author (excuse me while I sit in the corner and cry for a while). Jasper Fforde, the brilliant mind behind the Thursday Next series had put up on his website that he would be in Chicago on October 9th for promoting the latest book in the series. I was naturally overjoyed by this, though October 9th was a Tuesday and therefore a work day I could possibly go to his signing since I go to school in Chicago. All I had to do was nip out of University for an hour or so and take the bus to whichever bookstore he was appearing at, meet him, talk to him and get him to sign my copy. Though his official website is yet to put up the location of the signing, I did some sleuthing around and found this site, which listed the tour dates and locations. And horror upon horrors the location for Mr Fford’s closest signing to me was not Chicago but this obscure suburb called Naperville. A quick google map search told me that this place was an hour and half away from Chicago and hence I have no chance of being there at all (it being a work day and me being at school and all). And to think that I had been looking forward to meeting Mr Fforde for the past couple of months. Ah destiny thou art cruel. I was in Chicago this Sunday to attend the Chicago Comic and Entertainment Expo. This was my first visit to any sort of convention and boy did I have a good time. C2E2 is a three day long event and unfortunately I could only go on Sunday. One day passes did not cost much ($25) and got you into the building and the panels. There were some brilliant panels including John Barrowman Q and A on Saturday (imagine my despair when I couldn’t attend it), Anne Rice Spotlight on Sunday and a bunch of other things. However, my main reason for attending the Convention was autographs. Guests like Val Kilmer, John Barrowman, Sean Astin, Anne Rice and Nicholas Brendon were signing on Sunday. As soon as I reached McCormick Place, my sister and I headed towards the autographing section. We saw that John Barrowman had a huge, and when I say huge I mean HUGE, line by his table. I then decided to split up with my sis and she got in line at Barrowman’s table while I head up to find Sean Astin. Luckily I was one of the first ten people there and I met Sean Astin pretty quickly. I got a wonderful headshot of him as Sam Gamgee and had him write a dedication on it. Did I geek out when I met him? Of course, I did! I asked him if he was going to go for a midnight showing for the Hobbit and he said that he would probably watch it in a more relaxed atmosphere. And he shook my hand. TWICE. 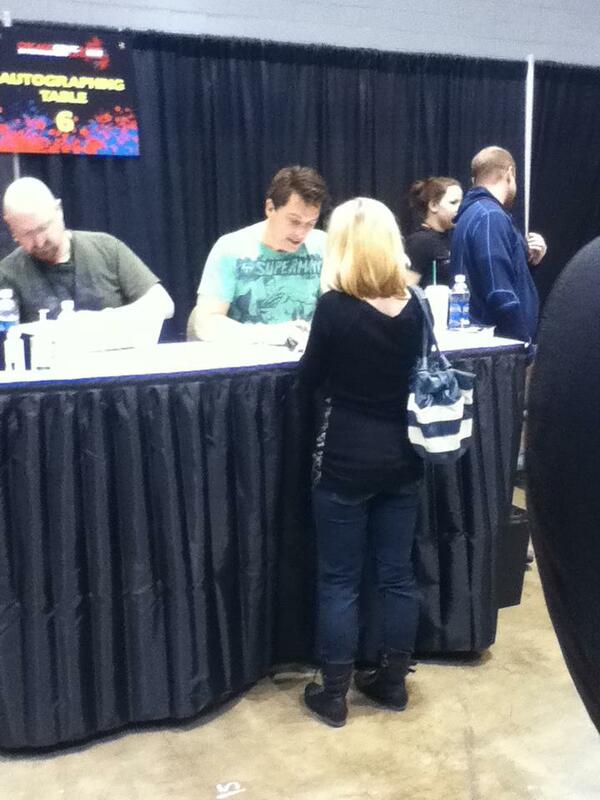 Then I went back into line for John Barrowman’s autograph and that was a long wait. I was there for about 1.5 hours, but it was an interesting hour and a half. A lot of people were in costume and some of them looked pretty splendid. I couldn’t get any pictures of them, but there was a lady dressed as a Dalek, a Tenth Doctor (I actually thought it was Tennant) and a woman in the most elaborate period costume. Finally I did get his autograph, but it was late by the time we were done and I missed the Anne Rice spotlight I wanted to see. So my sis and I just wandered around and went booth browsing and taking pictures of people in costumes. Why not head over there and give it a shot? I am done with the Fall semester at university and I think it went pretty well. Of course grades aren’t out yet, so I can’t be sure it went pretty well. Anyway, winter break has started and that means my birthday countdown has begun. Its my golden birthday this year! Exciting, right! Not really, I turn 20 this year and I am starting to have a pre-mid-life crisis. I am just 10 years away from hitting 30, pretty scary. However, lets not think about that. What I wanted to talk about was my plans for the winter. I want to watch as many Renee Zellweger movies as I can. I loved her as Bridget Jones and as Beatrix Potter, but those are her only films I saw. So naturally, I assumed she was British. It was only recently after watching Bridget Jones again I found out she wasn’t a Brit! Anyway, Brit or not, I think she is a brilliant actress and I have been catching up on her filmography. So far I have watched Jerry Maguire and Down with Love. Next, I plan on seeing Appaloosa, Cold Mountain, A Price Above Rubies and Leatherheads. This is just a quick update I wanted to put out there. I hope to have something more substantial next time. Remember how it feels when it seems like nothing is working out. Trying to fight the odds, but knowing that its useless. Because nothing you can do will help…. Daylight saving ends soon, November 6th to be exact. You know what that means, yes, an extra hour of sleep in the morning. Oh glorious sleep! No more waking up at 6 am to catch the 7:45 train. No hold on, you wake up at 6:00am according to your watches; but your Biological clocks know its 7:00am. That’s awesome. Right? But, what about lunch? Your clock says its noon, but your stomach says its 1 and its time for lunch! But you can’t leave class or work and grab a quick bite; you just have to sit there with your growling stomach and pray that the person sitting next to you has a louder stomach. Oh, daylight saving what a double-edged sword you are! Well, I haven’t put up very many posts these days. Therefore here I am on this dark, stormy night, sitting in my room and writing this post. I have a quiz in Cell Biology tomorrow and I hope I can remember my stuff for it. I also have a French Oral exam I am freaking out about. It’s a 3-4 minute skit and my partner and I have not practiced at all for it. I need to have my dialogues memorized for it and I don’t know how that is going to happen before 11 tomorrow, especially with the bio quiz that needs to be studied for. Plus it doesn’t help that all I seem to want to do now is cuddle up on the sofa and watch a lovely period drama, drinking hot chocolate. Toby Whithouse has given us a very decent episode this time (much better than vampire fishes). Though I am not very comfortable with the message this episode gives out, I am willing to concede that it was well-written and has a layer of depth and sophistication that has been lacking in Steven Moffat’s era (though some people are of the opinoin that I can’t see the depth in the other episodes). But the main thing that got me really excited after this episode was (spoilers) the Ponds, or rather the Williams have left the TARDIS. Though sadly I doubt they will be gone for long. I have no problem with Rory, I like him; but I really dislike Amy. I used to like her, but I am plain annoyed with her now. She has taken the shine out of the Doctor and I think with her gone, we might see more of the Doctor in action. Next week’s episode brings Craig Owens (played by the always funny James Corden) back into the Doctor’s life.